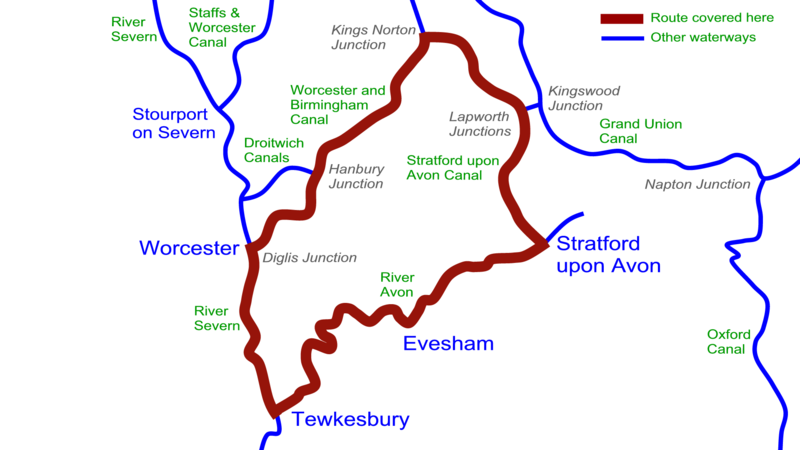 We cruise cruise around the Avon Ring from Stratford upon Avon. A wonderful contrast of rivers and narrow canals through diverse landscapes. The locks along the River Avon are all different as we drop down to Tewkesbury while the lock on the River Severn is huge. 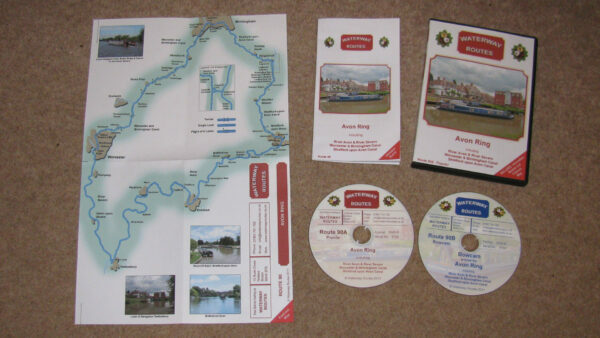 The long Tardebigge flight provides lots of work, while the lifting bridges on the Stratford upon Avon Canal add variety. 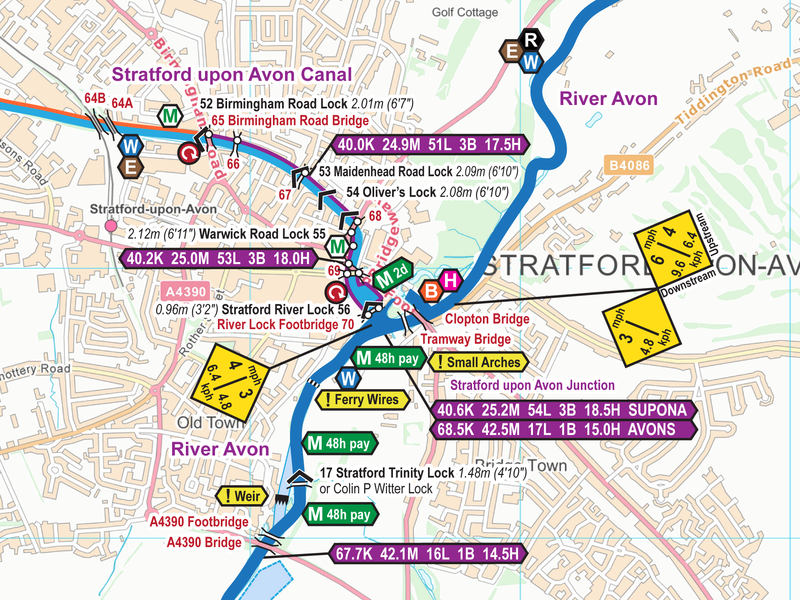 Route covered by the Avon Ring DVDs. 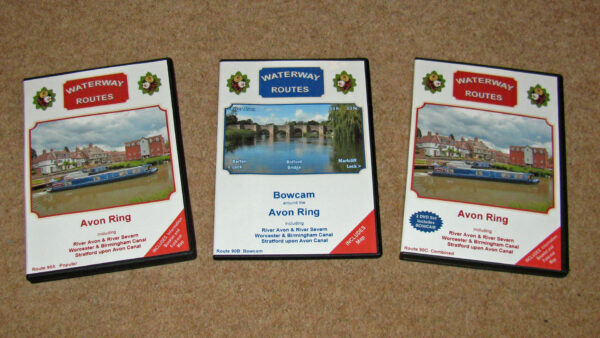 Avon Ring DVDs in a choice of formats. Contents of Avon Ring Combined DVD. Extract from my Avon Ring Maps. 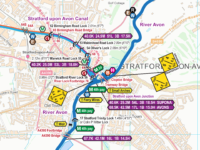 Read more about my Avon Ring Maps. 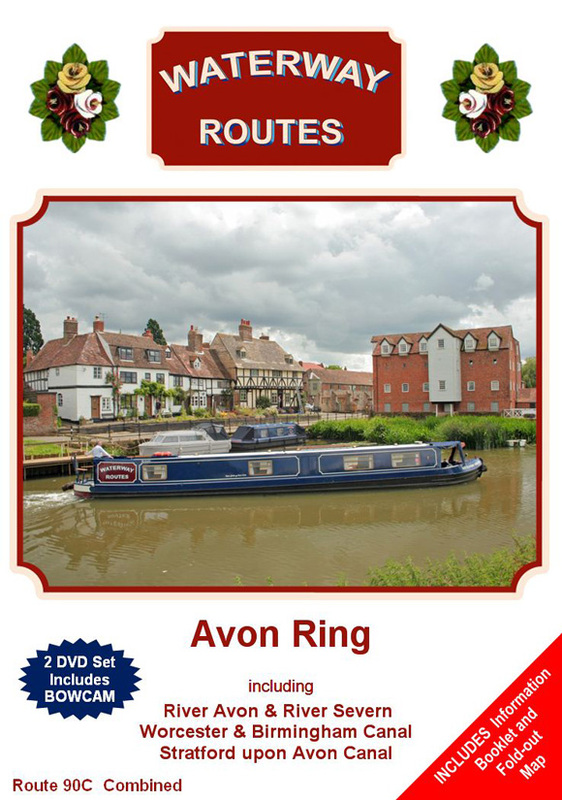 Save 10% on both when you buy an Avon Ring Map and DVD together. Automatically deducted at checkout.